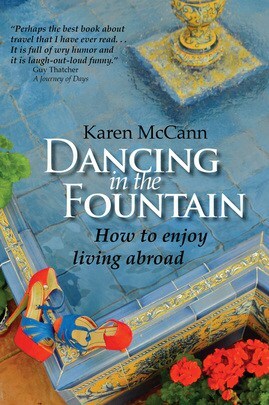 “Living abroad,” says author Karen McCann, “is an opportunity to reinvent yourself that rarely exists outside the witness protection program.” Her new book, Dancing in the Fountain: How to Enjoy Living Abroad is a breezy and engaging look at the practical and personal ways that moving overseas hits the reset button on your life. McCann explains that testing your boundaries is what moving abroad is all about. Dancing in the Fountain takes its title from one blazing hot night when the author and her husband found themselves sitting on the edge of a big stone fountain. Dabbling their feet in the cool water, pretty soon they were wading, then dancing in the fountain. An old man passing by growled, “Hey you two, is that any way to behave? You wouldn’t do that back where you come from.” And that’s the whole point. Living overseas, you get to try things you’d never do back home. Karen McCann is an award-winning journalist, author, blogger and artist. She has traveled to more than 30 countries and written for newspapers, magazines and blogs. 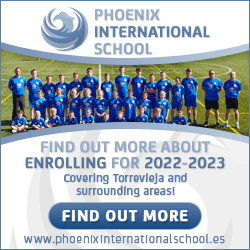 In 2004 she moved from Cleveland, Ohio, to Seville, Spain. Distribution: The paperback edition is available on Amazon in the US, UK and Europe and is distributed by Ingram Book Company. The Amazon Kindle edition is available now from Amazon in the US, UK and Europe. Other e-reader editions will be available from iBookstore, Barnes & Noble, Sony, Kobo, Copia, Gardners, Baker & Taylor and eBookPie.